Sharing is one of the things that I believe is central to living a simpler life. Sharing can take many forms from inviting someone for a meal, giving away excess produce or sharing a burden by simply being there to listen. In many ways, our society has moved away from a collaborative approach to many things and I think we have multiple opportunities to encourage more co-operation within our communities. There are aspects of social media that are less than desirable and the way some people choose to use it is downright awful. But all is not lost. Today I have been able to make contact with an online acquaintance who is looking for items that a member of my family has to give away. This will be a win all round – items will be decluttered from one home and become materials for someone else involved in a community project. A neighbour also recently asked online for assistance in how to pick mangoes. We were able to offer the use of our fruit picker with a telescopic handle. So today we worked together to harvest a huge number of mangoes. Rather than one person trying to pick, process and store a couple of hundred mangoes we have shared the work and the harvest. Additionally, the fruit picker is available for others to use. There is no point in everyone having one sitting in the shed when it is only going to be used occasionally. Thank you, Patty and Chris. We were delighted to be able to help and are especially grateful for your generosity. Looking forward to mango chutney, sorbet and smoothies as well as yummy fresh mangoes!! 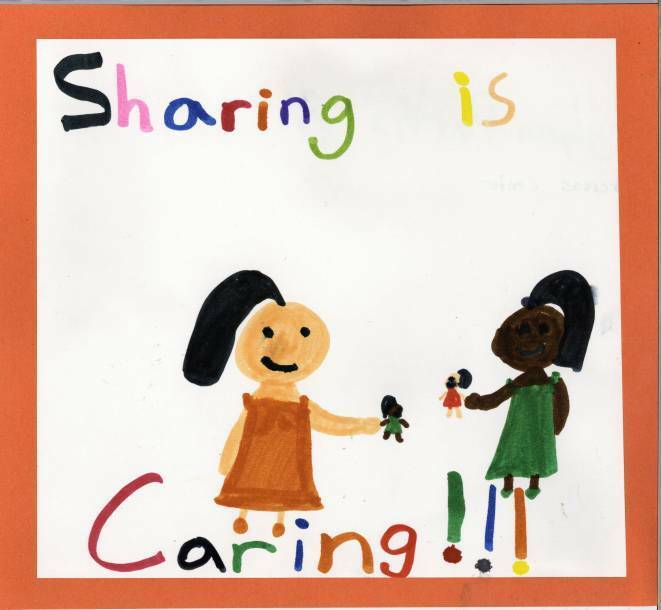 What have you got that could be shared with a neighbour or friend? What do you need that someone else may have? Don’t be shy. It never hurts to ask and you don’t know what the outcome will be. One of the things that I constantly feel is lacking in our society today is the willingness and ability to share and co-operate with people in our wider community. Today I headed into Maleny as I had a few things to do. Since it is a 16km round trip I try to make sure that I make the travel worthwhile. Before I left home I gathered up what I needed. 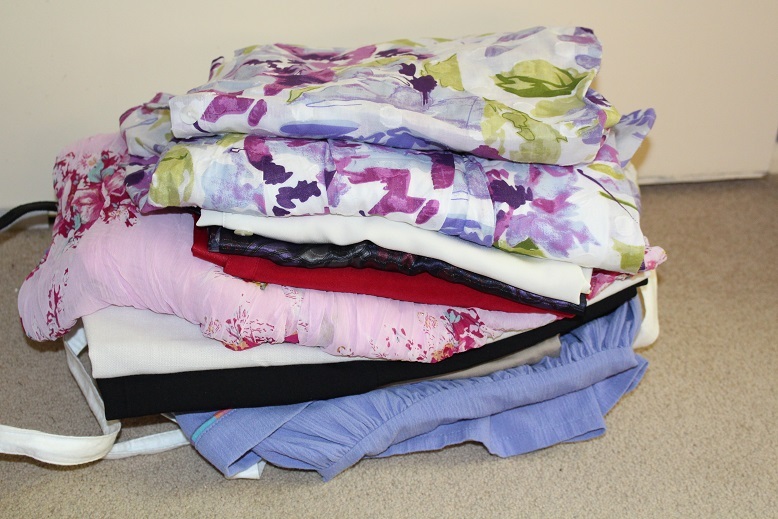 Clothes to take to the recycle boutique where thy are sold on consignment. Some pieces of fabric for my sister. She is making a costume for a school event. First I met up with some other keen gardeners and swapped the eggs for some worm juice. 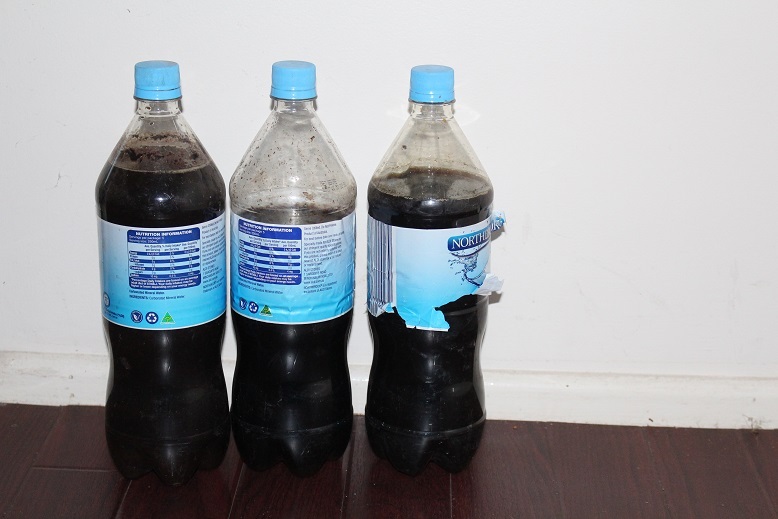 This can be diluted 1 :10 in water and used as fertiliser on fruit and vegetables. My seedlings will get a boost. Next, I headed to the recycle boutique but sadly it is closed on Thursdays. 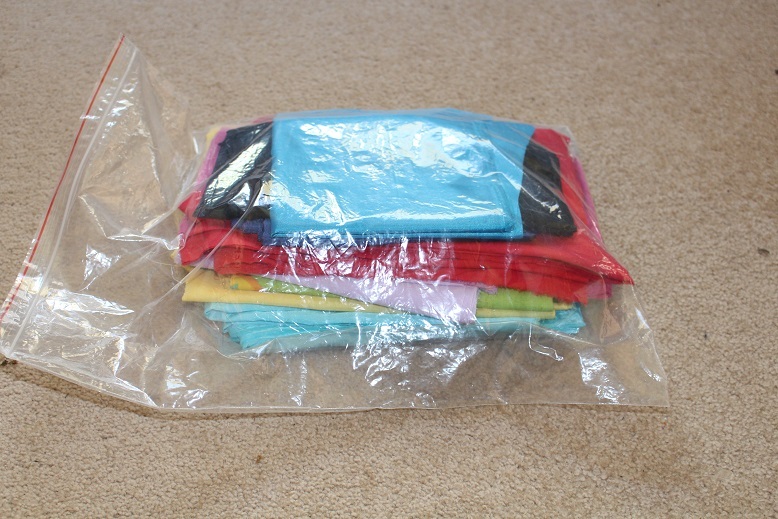 I have left the bag of clothes in the car and will take them on Saturday. I have also made a note to remember the opening hours in future. Finally, I met my sister and we had a leisurely lunch at the Upfront Club. When I came home I replaced the buttons on the sleeves of the coat that my sister gave me last week. 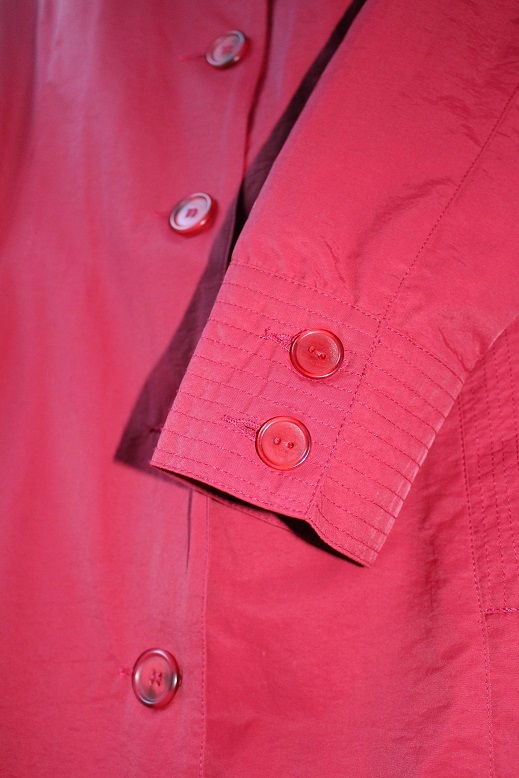 You can see that the buttons are not identical to the ones on the front opening, however, they tone in nicely. Also in the spirit of sharing, we have Air BnB guests arriving on Saturday for 3 nights so I have made up the bed in the guest room and made it ready for their arrival. What is teamwork? Is it working together on the same project? Doing different parts of the same task? Performing separate but complimentary jobs? Is there a clear division of labour in your home? I often hear people despairing because one or other partner does or does not do a particular chore to the ‘required’ standard. Sometimes it is that they simply do not do a particular activity at all. Although The Duke and I are both capable of doing pretty well any jobs, there are a couple of exceptions. I have never mowed the lawn and am not about to start. The Duke can iron but he does not offer to do the ironing. I dislike loading the dishwasher and don’t usually make bread in the breadmaker. Washing and drying dishes, preparing meals, shopping and gardening are probably the best examples of when we actually work side by side to achieve an outcome. What about making plans, setting goals and handling finances? Are these joint decisions or does one partner tend to take responsibility? I have posed numerous questions here and would love to hear your thoughts. We try to grow enough food so that we can share some with our extended family. Some of our efforts are more successful than others. 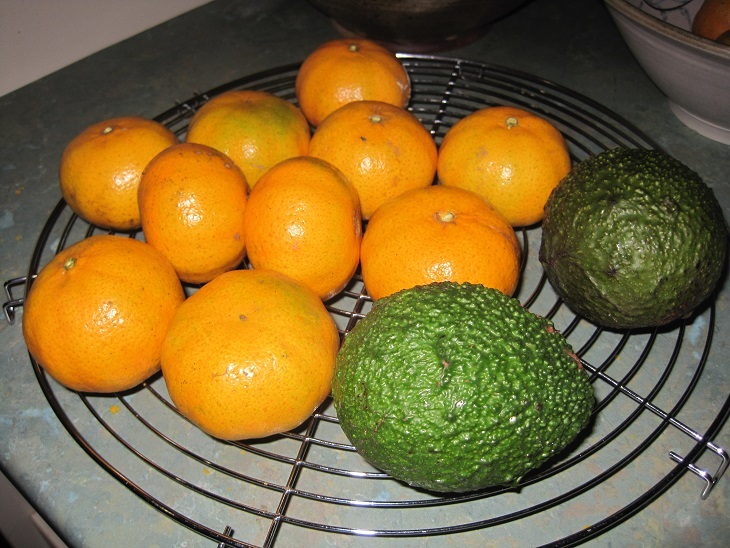 Here are some mandarins and avocados that I took to Belle. 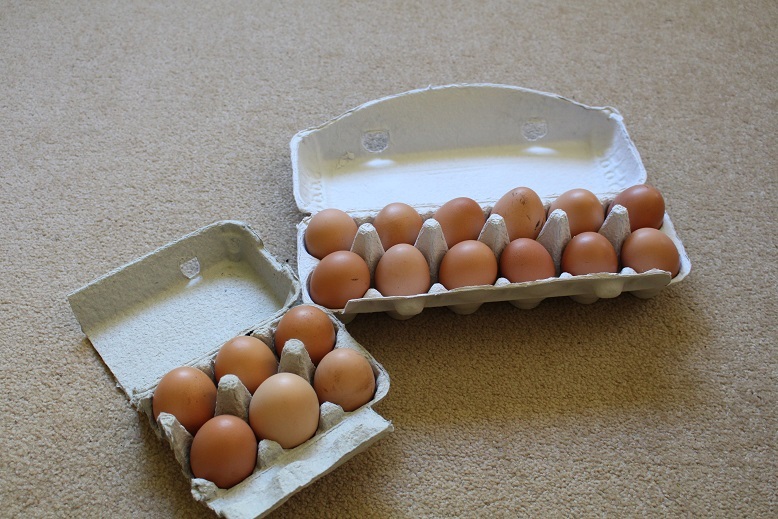 We usually have plenty of eggs, although this depends a bit on the season. At the moment we have an abundance so I can give them away to various family members. There are always many more lemons and limes than we can use so I have taken to putting them in the wheelbarrow outside the gate with a sign on a piece of cardboard indicating that they are free. One of my planned projects is to make a more permanent arrangement using a sandwich board style of sign with the option of changing what is ‘advertised’. I hope to be able to show it to you once I get around to making it. Don’t hold your breath waiting, though! It is great to be able to share. Tonight I want to share a story I heard today. While many of us have too much stuff and are constantly looking for ways to reduce the clutter in our lives there are others who could benefit greatly from things we no longer need. Freecycle is an amazing concept which allows members of a local group to offer anything they no longer want to others in the group. Everything is given without bias or selection criteria and today Miki* discovered the wonder of this phenomenon. She listed several items, including 2 bicycles. There were several responses for the bicycles and she chose a recipient who lived not far from her to take one of the bikes. The lady collected it as arranged and later sent an email to reiterate her thanks. Only then, did Miki find out that this lady had just lost her home due to legal wrangling beyond her control. A bike may not seem like much recompense for a house but the lady was so thankful for Miki’s generosity of spirit and said that it restored her faith in human nature. This sort of story will not come to light every time you list something on Freecycle or give away unused items by other means. You will, however, know in your heart that you have made a difference to someone’s day. What better Christmas gift could there be?